Ever since YRF’s Thugs of Hindostan was announced we and fans have been dying to know more. However, the action adventure film written and directed by Vijay Krishna Acharya and starring Amitabh Bachchan, Aamir Khan, Katina Kaif and Fatima Sana Shaikh, has been kept under wraps with only little teasing stories coming out. Now we have a new glimpse via Katrina Kaif’s Instagram! 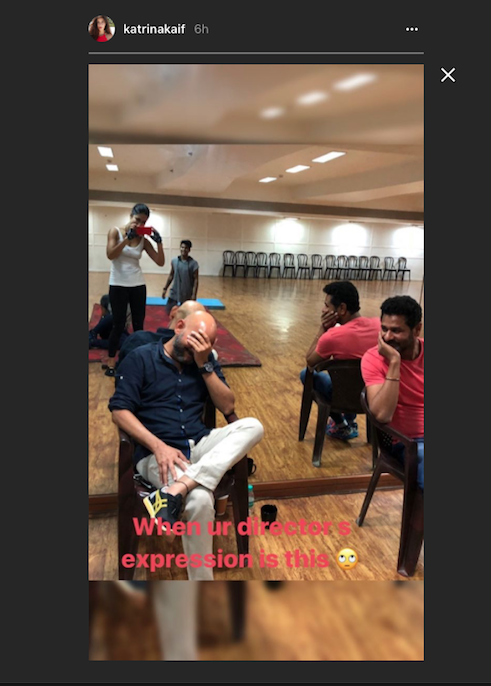 Aamir and Katrina are rehearsing what we believe is a song, since the great choreographer Prabhudheva is also pictured and they are all in a dance studio! Thugs Of Hindostan is set for Diwali, November 7th. 15 queries in 0.585 seconds.